We gather to inspire our lives and renew our planet! a unique immersion into Nature's Wisdom! 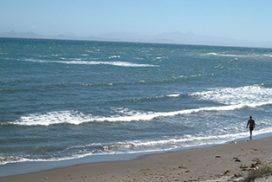 research.We work closely with Alianza Keloni, a local conservation non-profit with science and research programs based at our Center. 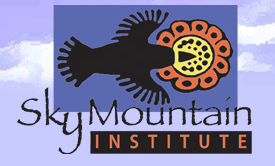 Sky Mountain Institute is a nonprofit educational, research, and training center founded in 1981, dedicated to exploring the relationship between the creative arts and the healing of self, family, community, and planet. We work directly with children, groups, and communities to build learning environments that realign us with a sustainable human-earth presence. As an institute, we develop programs and materials to assist in this process. 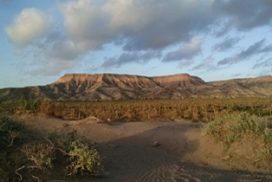 Weave together permaculture practices and scientific knowledge with the eco-arts and indigenous knowledge, in a unique habitat of desert and sea-life. Draw inspiration and knowledge from expert ecologists, educators, and artists to obtain practical skills for transformation and resilience. 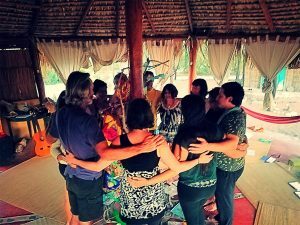 Director of La Duna Centro Ecológico, Gabriela brings her experience as an environmental educator together with her Sharing Nature and Expressive Arts Certifications, and her love for the healing arts, to offer at La Duna deep Nature and Self-immersion experiences that help us refocus and rekindle our soul intentions. Marine biology scientist.She has held various positions within both state and private institutions in the U.S. including the U.S. Fish and Wildlife Service directed towards environmental policy and ecosystem conservation. She runs her own nonprofit ProFaunaBaja and Alianza Keloni dedicated locally to the protection of habitat for sea turtles, youth leadership, SAVE tourism, and sustainable fisheries projects based at La Duna. As Program Director of Sky Mountain Institute, Lali brings her experience in Ecopsychology, Depth Psychology, and Community Studies to her work in the expressive arts. 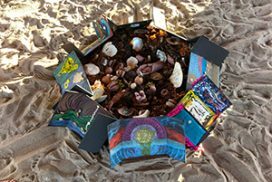 Her training in Jungian and Archetypal psychology, as well as her work as a multi-media artist and writer, enriches her approach. She is also in private practice working with individuals and families. Alden Hough is a Permaculture Designer & Educator, and also Program Director of Sky Mountain Permaculture, where he teaches people how to regenerate the Earth and live more sustainable lives. 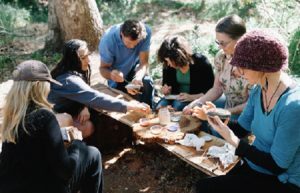 Alden is one of the founding members of the San Diego Pollinator Alliance, a graduate of the Center for Agro-Ecology and Sustainable Food Systems, and has a Geology degree from the University of California, Santa Cruz. 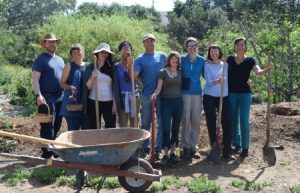 He has dedicated his life-path to organic gardening practices, regenerating the soil, social justice, and acting as if the earth really matters. 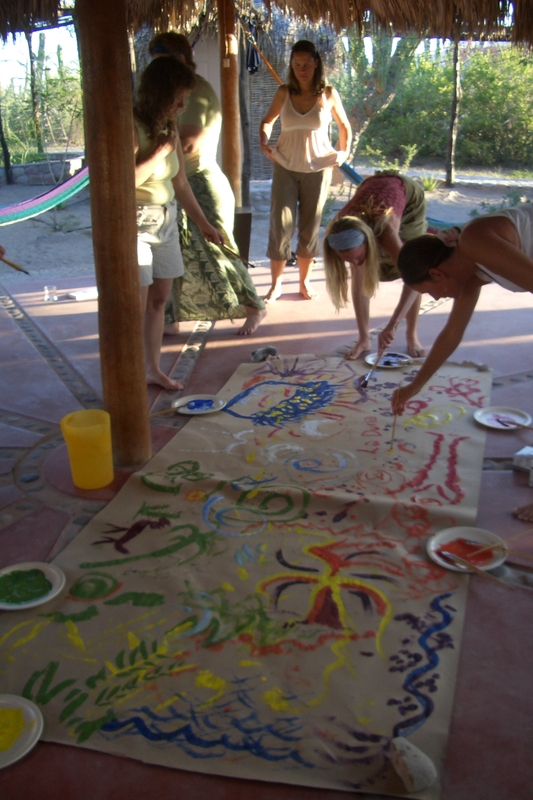 Expressive Arts & EcoArts give us access to the hidden language that exists within our embodied engagement with Gaia. This powerful medicine allows us to connect with ancient wisdom that belongs to us collectively: the Old Soul voice that cuts to the essence and weaves us back into the Earth. We will use journaling, clay, collage, movement, natural objects, music and poetry to make visible our experiences. drinkable water, learn practices to restore natural soil fertility and expand our understanding of living in harmony with Gaia. Spend one more night at La Duna and on Day 6 escape to appreciate more of the natural beauty of our surroundings. 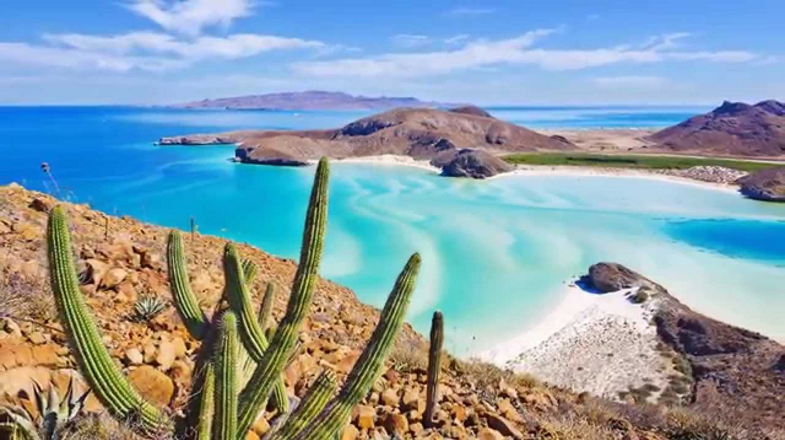 Balandra Bay, a natural protected area and home to pristine beaches, mangroves, and stunning scenery. 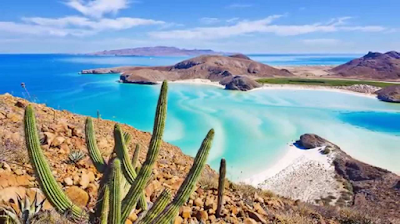 Here we’ll have a tasty lunch (dietary restrictions taken into account), explore the nature trails, snorkel, kayak or paddle board in the crystal water, relax and unwind before heading back to La Paz for an afternoon stroll. Lunch (ceviche y quinoa salad), agua fresca & beer. Additional night at La Duna, dinner and next day breakfast.